An excellent set of 80s groove – produced here by Larry Blackmon, with a very Cameo-styled touch – under a title that definitely shows the big shift in the funk scene over to the west coast at the start of the 80s! 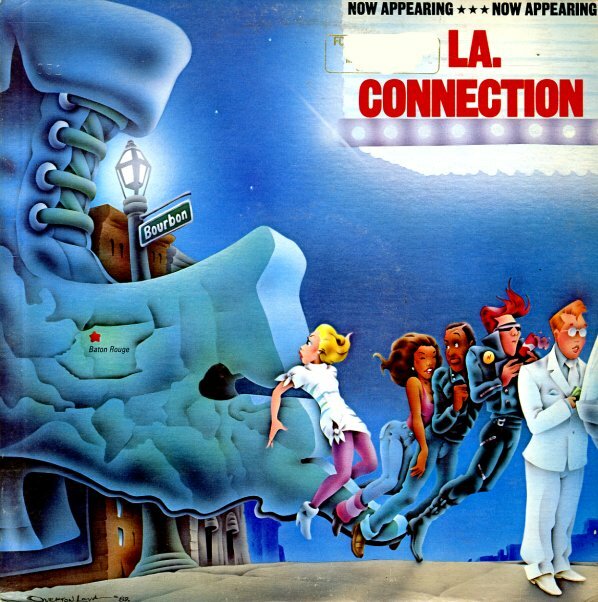 LA Connection really have a great way of blending things together – with a bit of that stronger keyboard mode that Cameo, Zapp, and other groups were using at the time – but also plenty of bass at the bottom, and nicely crisp production – and just the right balance of mellow soul tracks and funky numbers to give the album the right sort of depth. Titles include "Promise Me", "Come Into My Heart", "I'll Find A Way","Shake It", "Get It Up", "Jealousy", and "Burn Me Up". © 1996-2019, Dusty Groove, Inc.